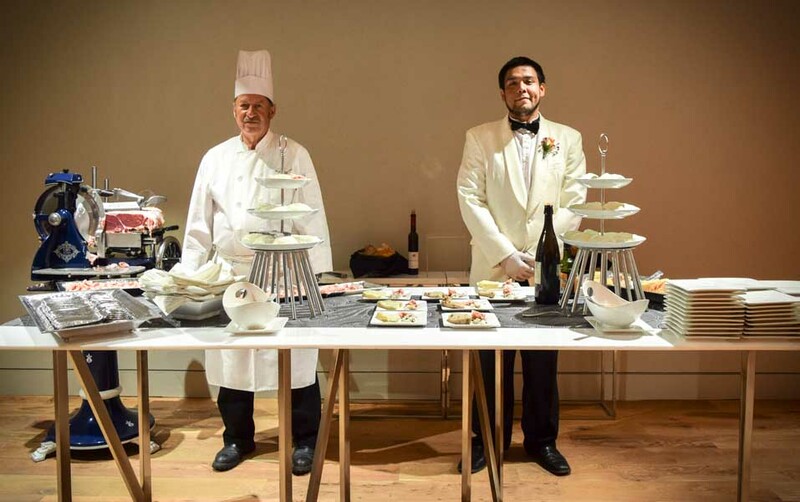 Our teams at Rosemary’s Catering had the honor of serving the night’s guests themed courses and wowing them with food stations to compliment the Witte’s night of wonder. 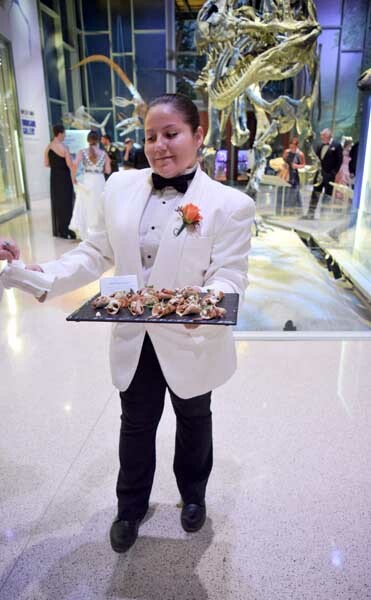 From Dino Kale Crisps, a Prehistoric Poke, a Bacon Garden, Donut Walls and more, we made sure our catering exhibits were thematically pleasing and an aesthetic compliment to the beautiful new museum’s reveal. The extensive expansion and renovation is part of a $100 million transformation of the museum’s iconic 10-acre campus along the Broadway Cultural Corridor the entire city has been eagerly awaiting these past two years. 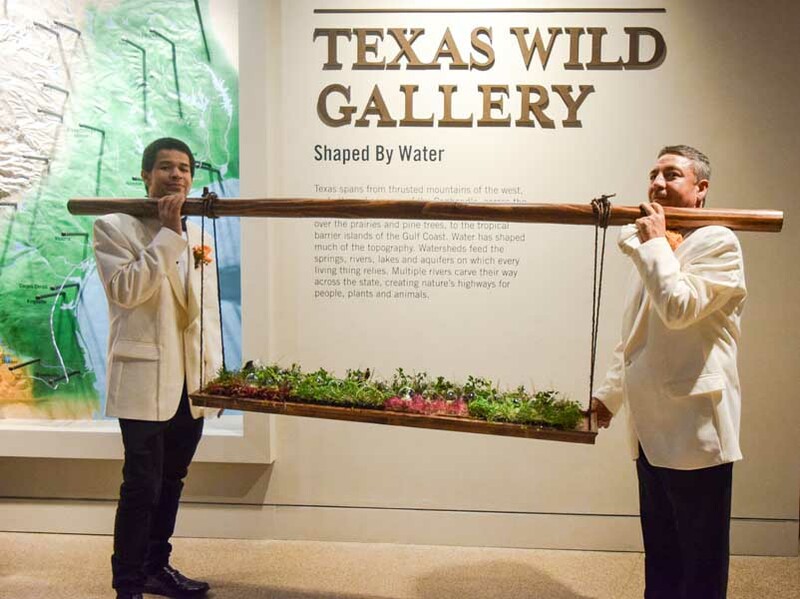 With 10 new spectacular exhibits, the New Witte is sure to take guests back to an era of discovery with innovative and comprehensive galleries of Dinosaurs, Art, Texas Wildlife and much more! Guests of all ages will be amazed and inspired by the new facilities and exhibits. If you haven’t had the chance to experience the New Witte Museum yet, and the brand new Susan Naylor Center and Valero Great Hall, you can check out the hours and choose your Witte Experience here. 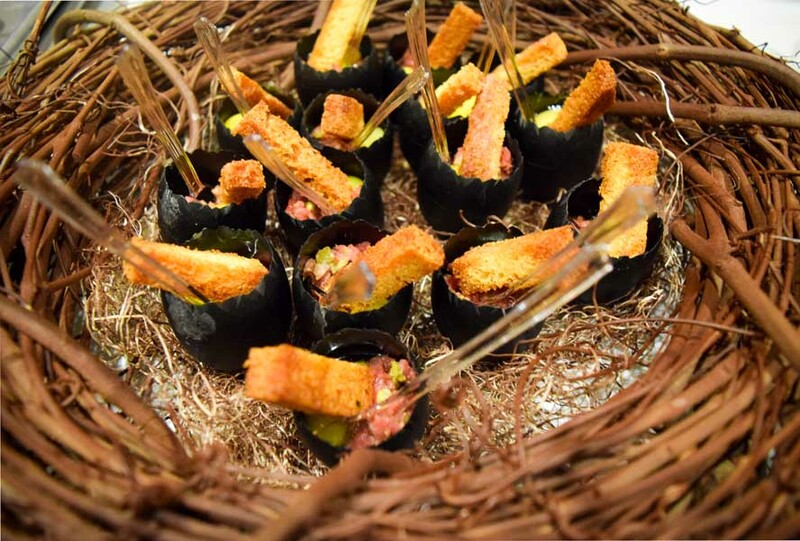 Nests of Hand-Cut Prime Beef Tartare Flavored with Shallots, Capers & Cornichons, topped with a Quail Egg & Tiny Brioche Croutons. 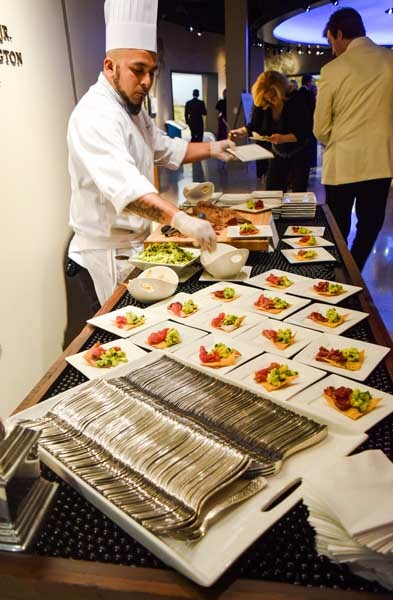 ‍One of our chefs at the Prehistoric Poke station serving Tuna Loin seared & brushed with Mirin & Ginger Glaze, served with Sesame Chips & an Avocado, Mango & Cucumber Salad. ‍Our team member offering Petit Duck Tacos, composed of Charmoula Marinated Duck Breast, Cotija Cheese in Mini Corn Tortillas. 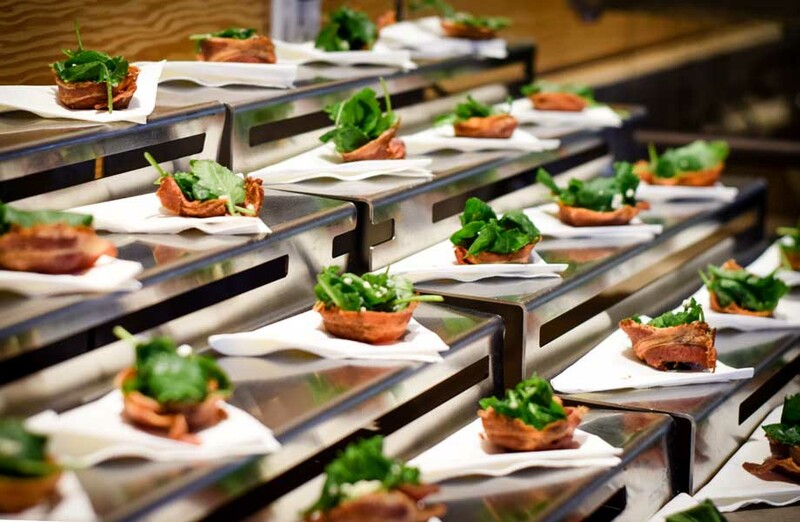 ‍Our Bacon Garden was filled with an array of Smokey Bacon Amusements including Pancetta Crips filled with peppery Arugula& Gorgonzola, Cayenne & Maple Bacon Cracklins, Brown Sugar & Fresno-Candied Bacon Satays and Parmesan & Bacon Breadsticks. 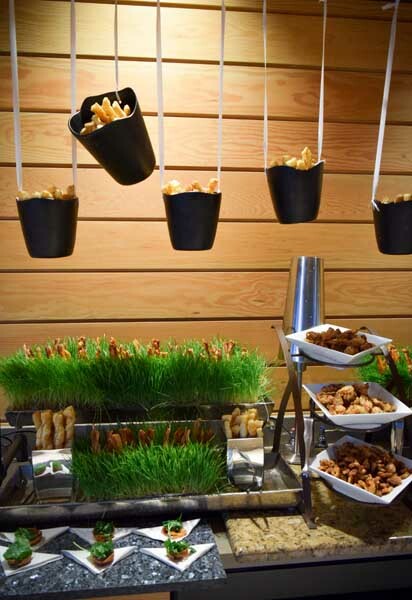 ‍Brown Sugar & Fresno-Candied Bacon Satays at our Bacon Garden. 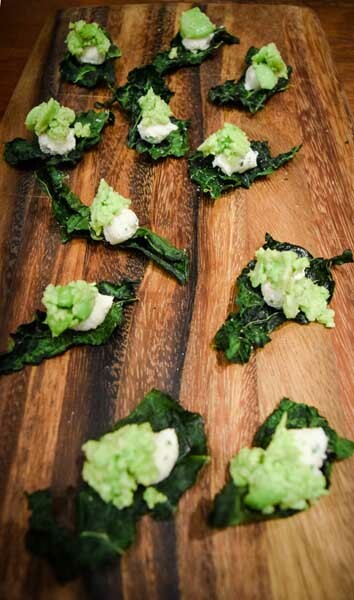 ‍Dino Kale Crisps were served as guests arrived, consisting of Herbed Ricotta & Lemon-Scented Favas. 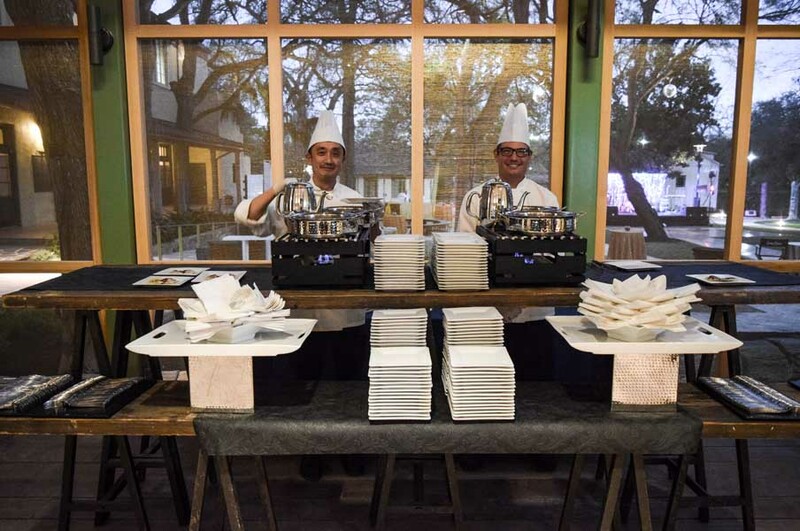 ‍Our chefs serving up Beef Wellington Ravioli: Duet Hand Made Filet, Foie & Truffled Duxelles Ravioli paired with Savory Madeira Demi Glaze. ‍Our Cochon Et Lait station consisted of Artisan Prosciutto Di Parma, delicately shaved & draped over Fresh Cream Burrata with Heirloom Tomato Preserves. ‍Our Micro Terrariums Pop-Up Hors D’oeuvres included bites filled with Edamame, White Bean Hummus & House-Pickled Micro Veggies. 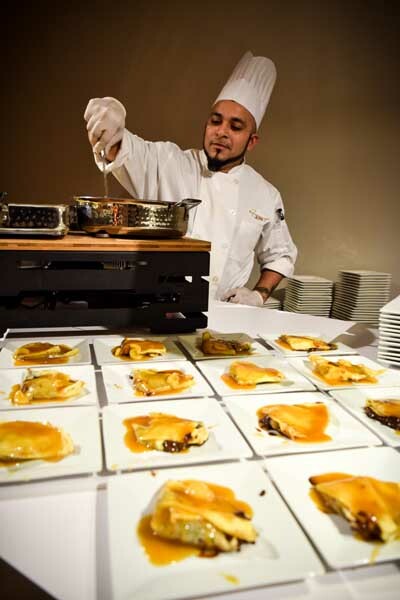 ‍Our chef preparing Bananas Foster Crepes with Dark Chocolate Ganache Filled Crepes topped with Rum & Butter Caramelized Bananas. 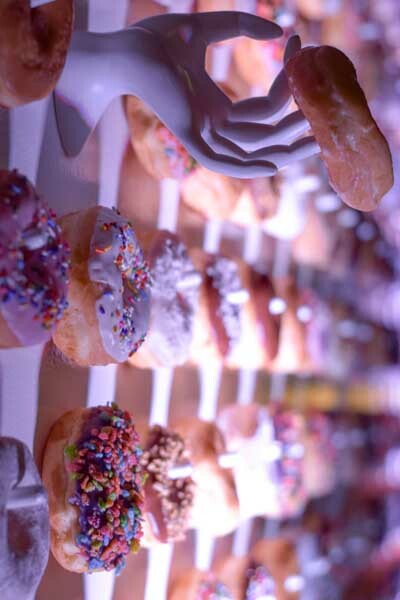 ‍A donut wall designed by our team consisted of a towering wall covered in fresh baked, glazed, dusted, sprinkled, crunched, dressed and decorated donuts.